We have almost 300 members. Emails are being sent to all members today for the first game at Barcalona on May 1st. Another email for the second leg will be sent next week. The pub cannot hold all members, so some people are going to miss out on watching the game in the Butcher & Bullock. Don’t worry, we are working hard to get more venues. If you don’t want to miss games in the Butcher & Bullock, then please plan to be downtown early and lining up prior to 10:00am even with priority email. We are the biggest club in town, and we have some dedicated supporters. This isn’t a Canucks game, or the Whitecaps, or the Stanley Cup Playoffs. We are Liverpool, and this means more. The pub has a legal capacity which they abide by at all times. We did not want to sell more memberships this season since if every single member decided to go to the pub for a game, then 1/3 of members would not be able to fit into the venue. It did not make sense to sell more memberships. One of the perks of membership is priority entry for the CL games – but your priority entry will not guarantee you entry if you show up late – Once the pub is full, it’s full. You will need to go to one of the overflow pubs. If you are a member, you need to arrive and line up to get into the pub, in the MEMBERS LINE, just like other members, since we can’t guarantee everyone an entry if you are late. If you aren’t a member – you might still be able to get in if the pub is not at capacity, but you have to line up early in the NON-MEMBERS LINE and we will let you know as soon as possible if you’ll get in. These are the arrangements for the upcoming Champions League games between Liverpool FC and Barcalona FC. We will run priority entry for LFC Vancouver members before the doors open to the public for these games. Membership is closed for the remainder of this season. Memberships cannot be bought. 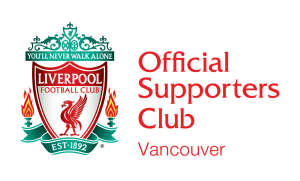 Members will receive a priority entry email from LFC Vancouver for entry to the Butcher & Bullock between 10:00am and 11:00am on the day of each game. After 11:00am – any remaining capacity will be opened up to members of the public. Emails will go out in the week leading up to the games. There are NO TABLE RESERVATIONS. DO NOT CALL THE PUB. THEY WILL NOT BE TAKING RESERVATIONS. Exceptions to rule 3 are the 4-5 tables that are long-standing reservations with the Butcher. If you have one of these tables, you already know who you are, and you already know that you need to confirm your reservation with the Butcher. You will get priority entry in the same manner as all other members between 10:00am and 11:00am – You will NOT get any other special entry privilege. Once the pub hits capacity, the doors will close. If you do not use your priority entry between 10:00am and 11:00am – do not expect to be able to walk up to the pub with 10 mins to kick off. It will likely be at capacity and you will miss out. We have a list of members. Anyone who shares their email or tries to give copies of it to other people won’t be allowed in. In previous years, people have tried to abuse the system. Don’t do it. We will be arranging overflow pubs with the Donnelly Group and will issue more detail on those pubs closer to the game. The Vancouver Sun Run will be taking place on 14th April 2019, at the same time as Jurgen’s Mighty Reds take on Chelsea. Our game kicks off at 8:30am. There will be numerous road-blocks in place downtown around the Sun Run course. The Vancouver Sun Run takes place on Sunday, April 14 at 9:00 a.m.
For the safety of the 40,000+ participants, various road closures will be in effect between 5:00 a.m. and 1:30 p.m.